Food is an integral part of a Bohra family. Apart from the distinctive cooking style, there is a traditional way the food is served. The entire Bohra family dines out of one big metal platter called “Thaal” as they believe that a family that eats together stays together. Come enjoy a traditional ten-course meal that includes a large array of unique recipes you will never experience in anything other than a Bohra thaal. 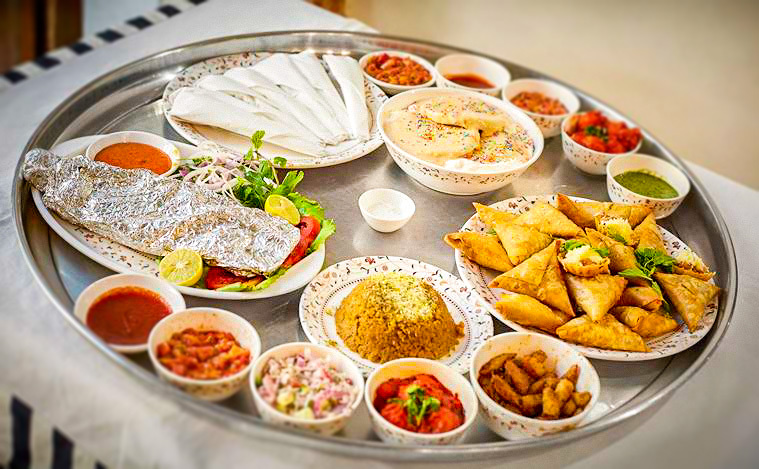 We serve Bohra Thaal for groups starting from minimum 8 people. A day’s notice is required. NRs. 1250++ per person. To book call 9801121212, a day’s notice is required.